SOMM celebrates two significant anniversaries this year: the 150th anniversary of Frederick Delius and the 50th anniversary of John Ireland, both composers whose choral and vocal music represents some of their most interesting work. 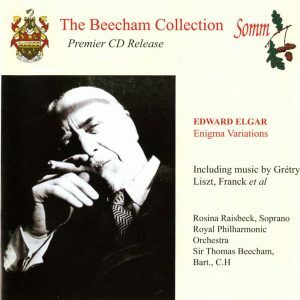 Eric Fenby, Delius’s amanuensis, thought that some of his best work lay in vocal and choral music. He had a highly developed and extremely subtle feeling for sounds at work – Delius himself used to say, ‘I am always at my best when there are words’ and that he probed to the heart of whatever poem he was setting is beyond the shadow of a doubt. 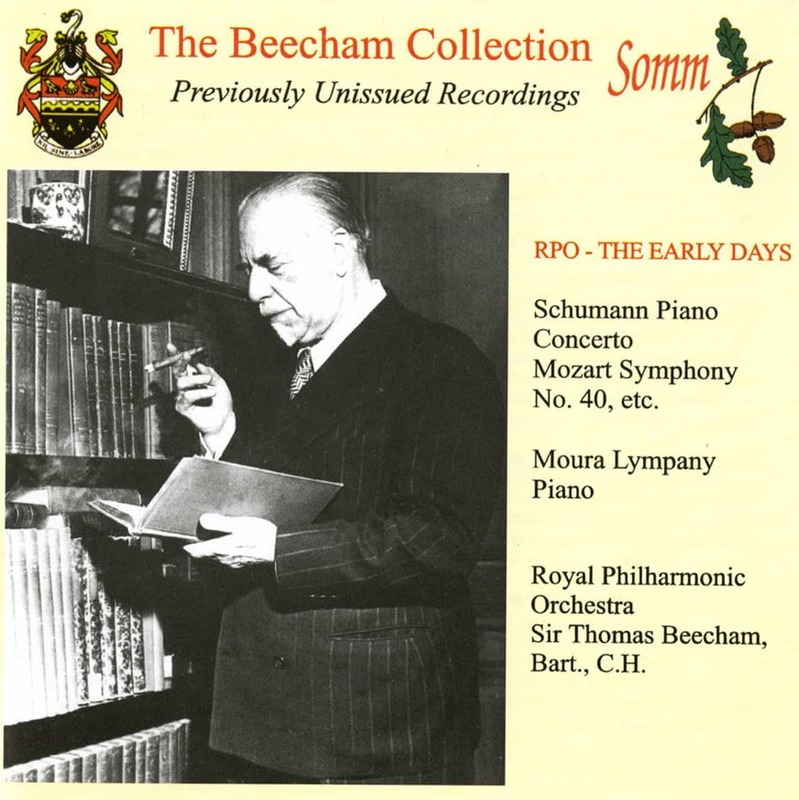 Many of his major works, dating from the first decade of the 20th century, are partially or fully choral, but a chain of minor works for unaccompanied voices threads through most of his working career, from early songs written in 1887 whilst studying at the Leipzig Conservatoire to one of the last pieces, completed with his wife’s assistance as paralysis struck him during the mid-1920s. The present collection offers all his completed works in this medium. First come five four-part songs to German texts. Sonnenscheinlied and Fruhlingsabruch are translations from the Norwegian and Danish respectively. Ave Maria set to a poem by the German Emanuel von Geibel, is a particularly beautiful work, while in the fourth song, Sonnenscheinlied Delius sets a humorous poem by the Norwegian Bjornsjerne Bjornson (“ I lay’neath the trees idly dreaming. Then out came the gnats and midges to bite And gadfly and hornet to end my delight”). 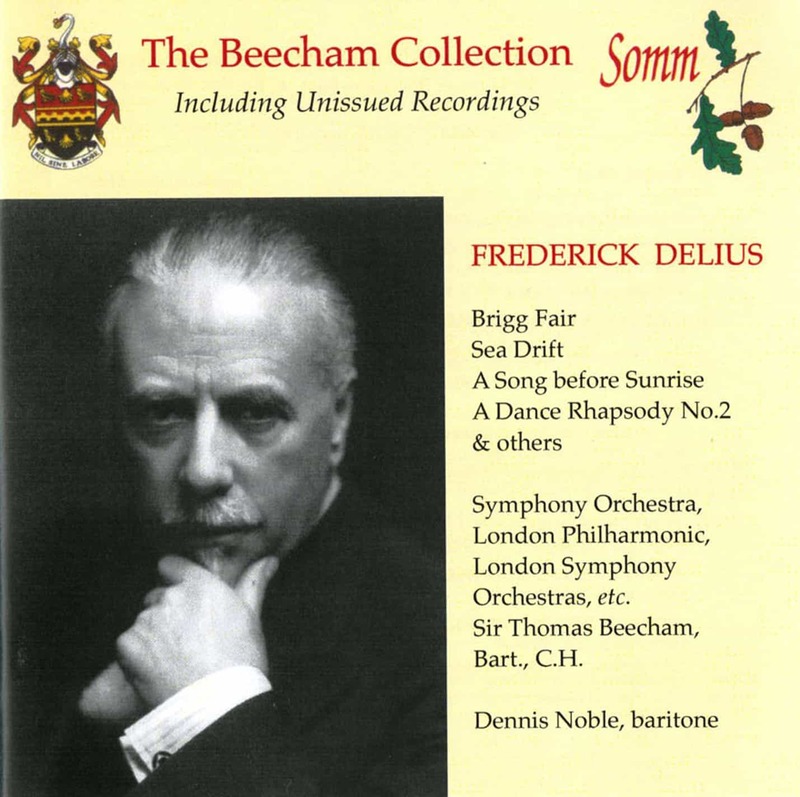 In these early partsongs Delius has yet to find his distinctive musical voice. The year 1907 marked the beginning of his greatest fame in his native land, and towards the end of that year he completed what is possibly his finest unaccompanied chorus – the richly chromatic On Craig Ddu, subtitled ‘an Impression of Nature’. This is the first partsong of Delius’s maturity and the difference between this exquisite song and the early works is striking. Remarkable also are Delius’s two wordless Songs to be sung on a summer night on the water, composed in 1917. Midsummer Song was composed in 1908, together with the Wanderer’s Song for male voices composed in the same year. 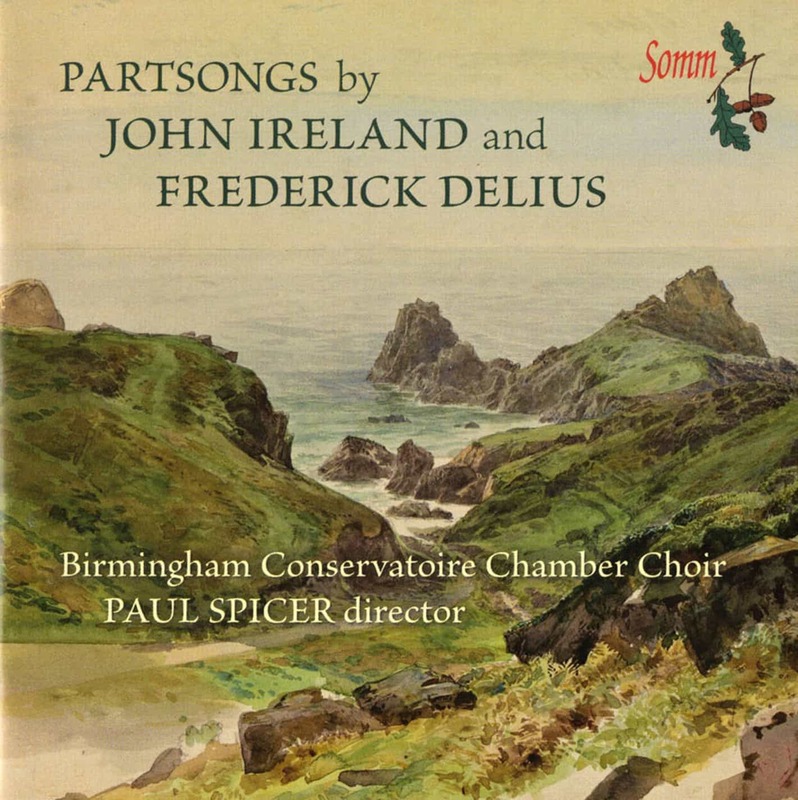 Delius’s last part-song, The Splendour falls (1923), similarly employs a wordless chorus to great effect, with the lower voices imitating the sound of the ‘horns […] faintly blowing’. Born into a literary household, John Ireland entered the Royal College of Music at the age of 14 where he began studies in piano and organ. When he was seventeen he became one of Stanford’s composition scholars and it’s at around this time that he produced his first partsong, The Peaceful Western Wind. This setting of Campion echoes Ireland’s interest in the Elizabethans and is also evident in his two partsongs dating from 1906. A setting of Dowland’s Weep you no more, sad fountains, and the playful setting of Nashe’s Spring, the sweet spring, full of birdsong, in which we hear the first glimpses of Ireland’s emerging interest in harmonic colour that would come to define his mature style. Between 1910 and 1913 Ireland made a number of settings of poems by William Blake, including two light madrigalian works, Laughing Song and Cupid, and the touchingly innocent A Cradle Song with its soothing accompaniment in the lower voice parts. The subject of innocence became a prominent feature of Ireland’s work and it provided inspiration for The Holy Boy, originally composed for piano on Christmas Day 1913. 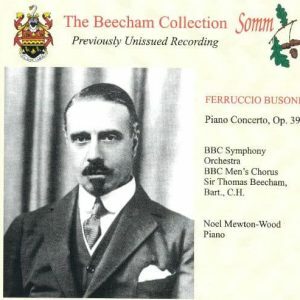 The popularity of this piece encouraged various instrumental arrangements and in 1938 Herbert Brown, the family solicitor, supplied words for the melody which are used for both the solo and partsong versions. While Ireland was composing increasing numbers of solo songs from 1916, he also composed a few significant partsongs between 1920 and 21 – When May is in his prime, with its lovely harmonic twist in the coda to each verse, and Fain would I change that note. The deeply melancholic Twilight Night written in 1922 is one of his most significant contributions, telling of the loss of love or friendship, a parting of company which is deeply regretted. ‘If we should meet one day’, is imbued with subtly shifting harmonies, which are typical of Ireland’s most distinctive work. One of Ireland’s most beautiful and moving settings is the 1924 setting for men’s voices of Callimachus’s Heraclitus which continues this to great effect. The Hills and Immortality are Ireland’s last two secular part-songs composed and set ten years apart in 1942 and 1953 and they are both remarkable for their sheer tonal beauty.